By now, we all know how the Super Star Rajinikanth took everyone by storm with Shankar directed Enthiran. 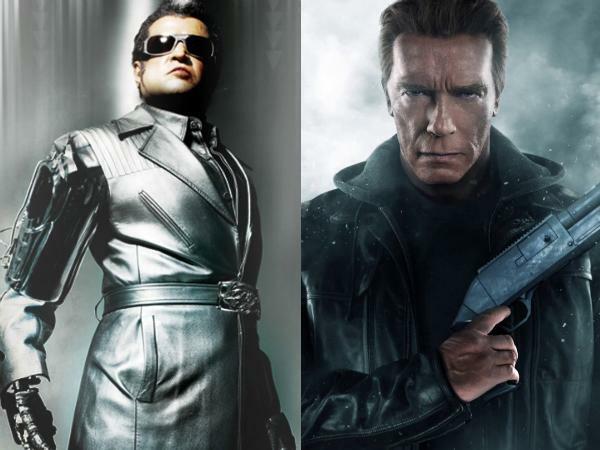 We have already reported that director Shankar is in talks with Hollywood star Arnold Schwarzenegger to play a key role in Enthiran 2. The ace director has now confirmed the same to a leading English daily, "Arnold and I discuss a lot of Indian movies. He attended the audio launch of my Vikram starrer, I, and told me that he wanted to work in Tamil films. He was impressed with the storyline of Enthiran 2 and agreed to be a part of the film," Shankar confirmed. Reportedly, the Hollywood actor will be in India for 25 days for the shoot. Enthiran 2 will be shot in 3D and also will be using motion-capture technology for certain scenes. Shankar is rumoured to have signed Amy Jackson for the leading lady. To be produced by Lyca International, the film is likely to go on floors next year post the release of Kabali.